Daniel J. Ostrosky was named Vice President, Supply Chain of Triumph Group, Inc. in April 2015. Mr. Ostrosky had served as Senior Vice President, Aerospace & Defense Segment, of Flextronics International from 2013 until joining Triumph. 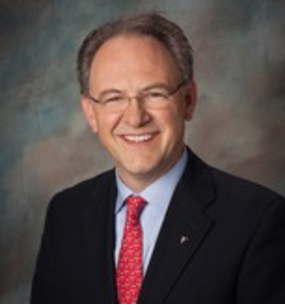 From 2006 until 2013, he served in several positions of increasing responsibility in supply chain management for Goodrich Corporation through its acquisition in 2012 by United Technologies Corporation (UTC), culminating with his position as Vice President Supply Chain Management, Aircraft Systems Segment, for UTC. Mr. Ostrosky holds a Bachelor of Science degree in Electrical Engineering from Rensselaer Polytechnic Institute.